Yoko Ojima was born in Japan. She graduated from the Musashino Academia Musicae in Tokyo and made her professional debut as a Noble lady in Ishiketa's "Sotoba Komachi" with the Japan Opera Association. She attended the Mozarteum in Salzburg, Austria under the direction of Otto Wiener and then she studied bel canto with Sumie Kawauchi. She performed Handel's "Giulio Caeser" and Pergolesi's "Stabat Mater" with the Tokyo Solisten Chamber Orchestra. In 1983 she moved to New York, where she studied opera at The Juilliard School under the direction of Maestro Vincent La Selva. She made her New York Grand Opera debut in the title role of "Madama Butterfly" in 1987 and has since been heard with the NYGO as Amalia in "I Masnadieri" a role she first sang with the NYGO in 1988, Gilda in "Rigoletto", Violetta in "La Traviata", Mimi in "La Boheme", and La Marchesa del Poggio in "Un Giorno di Regno", Amalia in "I Masnadieri", Gilda in "Rigoletto" as a part of NYGO's unprecedented 7-year (1994-2001) "Viva Verdi Festival" offering all 28 of Verdi's Operas in chronological order. In addition to her opera appearances, she has given concert performances as well as recitals at Weill Recital Hall in Carnegie Hall in New York metropolitan area and Atlanta. Ms. Ojima has also played leading roles in the NYGO's "Exploring Opera Series" at Weill Recital Hall in Carnegie Hall and has been heard on radio station WQXR and local TV stations in New York as well as major TV stations in Japan. In 1988 she founded the Nippon Club Women's Chorus since then she has been a music director and conductor of the Nippon Club Women's Chorus. Also, she is one of the conductors of annual " Messiah Sing in " at the Avery Fisher Hall, Lincoln Center organized by the National Choral Counsel. 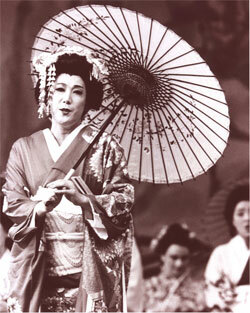 She is a member of the American Guild of Musical Artists and the Japan Opera Association.